We are now looking for the first applications of 2018 to the fund, which assisted a wide range of organisations, from youth groups to sports clubs and a dementia café, in the last round of awards. Applicants should provide details about their organisation, what the funding will be used for and how it will benefit their work and the area. The overriding criterion is that awards must be used for the purpose of contributing to the common good of the local community. 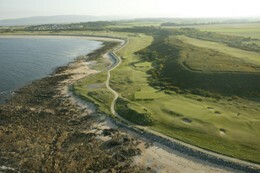 The fund is controlled by Royal Dornoch’s Council of Management. Organisations based within the IV25 postcode can apply for donations of up to £500 with payments determined by a committee comprising three past club captains and two representatives from Dornoch Area Community Council. Organisations can apply for more than one project.